An Irish man has opened up about the devastating impact of being told he was infertile. 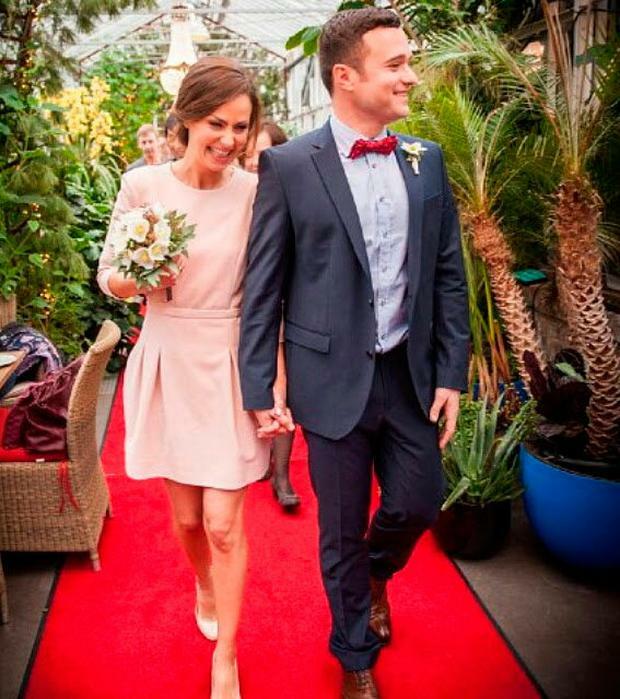 James Doherty (34) from Sandymount, Dublin has living in Berlin for the last six years with his wife Olivia (38) after first meeting in Ireland in 1999. After 10 years together, James said it was “time for us to start” a family, but after more than a year of trying, they felt they were no closer to pregnancy and sought medical help. It was during their first hospital visit in September 2014 when they received news that James was infertile and what followed was a lengthy, painful process to get pregnant. “The first doctor we saw was a really nasty piece of work and delivered the bad news – the issue is the motility of the morphology of my sperm and not my sperm count, the movement and shape is inadequate for having children. It was a shot at my manhood, my confidence was knocked and I went into a bit of depression,” he told Independent.ie. As they began researching IVF treatments, they learned their health insurance would cover the cost of the treatments if they were married – and so they did. They organised a low-key wedding in two weeks and their big day came together exactly as they had always wanted. “We had always planned to get married,” James said of their low-key ceremony. “We didn’t have a second thought about it although it’s not the most romantic thing in the world. We invited both of our families we wanted it as stress free as possible and we found a beautiful place, a botanical gardens. Because we were getting married in December, it was decorated for Christmas and it was the beautifully arranged wedding ever. They chose Intracytoplasmic Sperm Injection (ICSI), which is a form of IVF where the sperm is delivered directly into the egg. “We went in a bit willy-nilly, thinking it was just like any operation like getting our wisdom teeth out. We went in thinking, ‘they’ll put the sperm in, we’ll get pregnant and have a baby,” he explained. This began the long arduous process that would leave them both on the emotional brink. “Olivia has a fear of needles and I had to inject her everyday furring the IVF treatment that made her body react like crazy,” he added. “She had really intense mood swings and looking back, I was probably as guilty for not being understanding enough. We fought like crazy during those times. After a few months, they returned to the clinic again and said this time around, it was even worse. “It was more of the same, they gave Olivia the same drug treatment that overstimulated her eggs, there was the horrible injection period, we fought again but it was even worse this time, it was like the first time, but worse,” he said. But they were determined and decided to do things differently this time around, starting off with an entirely new clinic and instantly felt more comfortable about the quality of care they were receiving. Before they underwent their first treatment, both went in for full health screenings to ensure they were in the healthiest shape possible, resulting in two surgeries. “I had a small operation, I had varicose veins on my testes which was overheating my sperm and could have been an issue. Olivia had to get an operation in January for a non-cancerous lump, it’s not dangerous but it can affect pregnancy, so it was May by the time we could start our first treatment,” James said. “Olivia has a thyroid issue that wasn’t picked up in the first place and they gave a different system of drugs to stimulate the production of the eggs and it didn’t have as bad an effect. We didn’t fight either,” he explained. “The doctor suggested we take a holiday, take some time off and get our heads in order so we did and started getting much fitter, we changed our diets and got our Body Mass Index (BMI) right now, as well as meditation and acupuncture. “It was like a weight had been lifted off our shoulders. Apart from the day the twins were born, it was the best day of our lives,” he remembers. 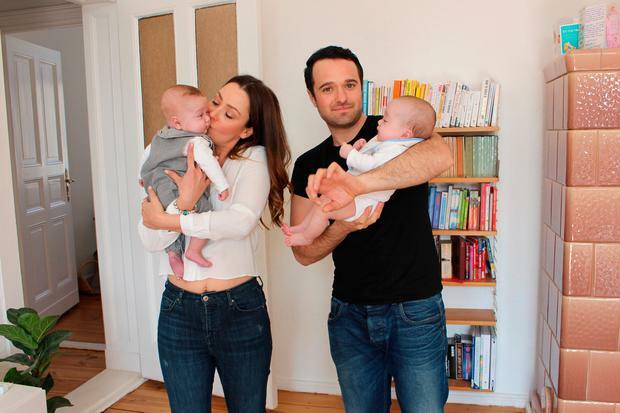 They welcomed twins Mathilda and Max last November and James is hoping to support other couples in similar situations by sharing his story, in particular through his blog Scantily Dad. After the twins were born by emergency cesarian, both were kept in the Neonatal Intensive Care Unit (NICU) and Max’s lung collapsed. “I was sitting on the bed holding his hand and I felt I needed to do something different with my life,” James explained. Both babies are out of hospital and healthy and the new parents share their duties as they are making the most of their parental leave.